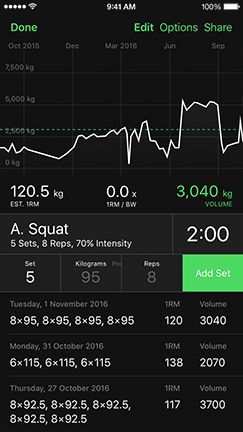 HeavySet - Workout tracker & gym log app for bodybuilding and strength training. 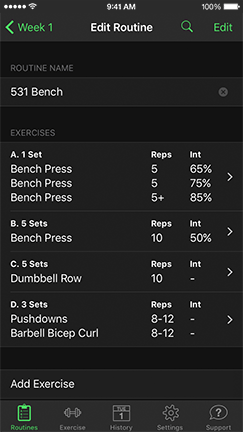 Workout tracker & gym log for bodybuilding and strength training. No one likes fumbling around with their phone after a heavy set of deadlifts. HeavySet lets you log your sets with as little interaction as possible. Smart Values anticipate what you will add next. 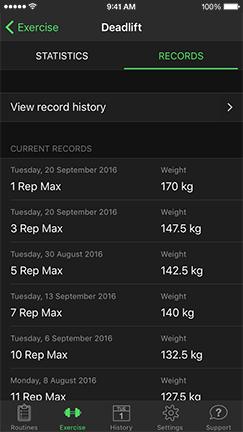 HeavySet keeps track of all your current rep records so you'll always know when you are getting stronger. Knowing your current records is great. 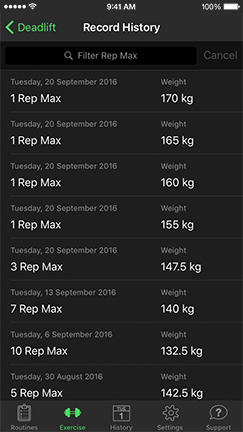 But HeavySet can provide extra motivation by showing all the records you've set since you starting logging your workouts. HeavySet allows you to create advanced routines. These can include sets based on intensity and training max, supersets, giant sets and AMRAP sets. 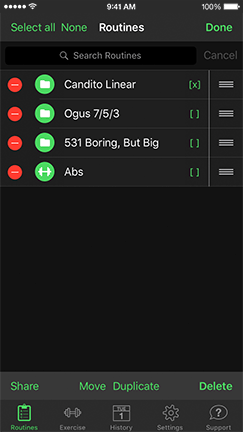 In HeavySet it's easy to keep your routines organized. 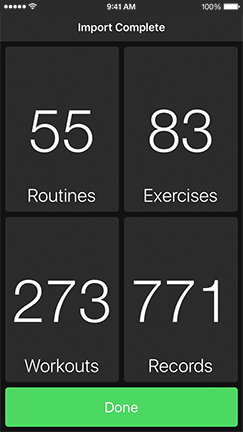 If you've created a routine your particularly proud of you can share it with your friends. It's your data. 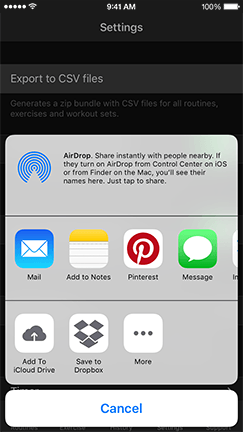 HeavySet exports all routines, exercises and workouts in CSV format via Mail or to Dropbox, so you can use as you see fit. Don't worry about the time you've invested in other apps. HeavySet can already import from StrongLifts, Strong and Repcount.